The internet can be a wonderful source of information, but can also get out of control when hype is engaged over potential goodies on the way. Nintendo recently fell victim to this when it inadvertently teased a tweet that was ultimately underwhelming, prompting plenty of frustration and humour. Nintendo of America has been at it again, but this time on its official website as opposed to on its Twitter pages. As spotted by Wario64, its website seemed to confirm the upcoming Shovel Knight amiibo as a compatible amiibo to be trained in Super Smash Bros., which if accurate confirms the character as an upcoming playable character; it could possibly be an outcome of the Fighter Ballot that's now closed. Nintendo went for the big red button, it seems, having now removed all compatible figure graphics from that web page. Yacht Club Games, for its part, has been going all out - in a friendly and humorous way - to calm down the inevitable speculation that's followed. The social media poster for the studio has got one aspect of its denials wrong, however, mis-reading the screengrab as listing the Shovel Knight amiibo as part of the Smash Bros. series, which it doesn't. There have also been plenty of fans - including Unseen64 and occasional Nintendo Life contributor Liam Robertson - pointing out that Yacht Club Games put out similar messages to deny there was a Shovel Knight amiibo in the works; the figure emerged shortly after. It's also worth clarifying that the original Wario64 screengrab isn't wrong when it lists the upcoming Mega Yarn Yoshi as compatible for training in the game. The existing smaller Yarn Yoshi amiibo are recognised as standard Yoshi figures in the game. Whatever the case Yacht Club Games cannot win in this scenario, though perhaps Nintendo of America should be a little more careful with its tweets and website updates. Would you like to see Shovel Knight as a playable character in Smash Bros., and do you think it's likely? Sound off in the comments! Okay, I'm a believer. Now just confirm K. Rool as well and we're done. Haha, when will Nintendo learn to use social media?! Yacht Club Games social media manager confirmed for frazzled. I guess that means we're getting Chibi Robo too. @ricklongo Second that. Haven't downloaded any paid dlc yet but that might make me bite! That's slightly disappointing. Shovel Knight is great, but he's only appeared in 1 game and I think there's more iconic characters that deserve to be in Smash more. I ain't complaining. And really, when something is posted and then taken down COMPLETELY, as opposed to just a mere "whoops" and the error being fixed... you've found them out. AND Chibi Robo possibly got leaked, also. Can't forget that-wait, that 3rd tweet...Yacht Club Games's members played Mother 3!? Holy crap, that's awesome! I think Shovel Knight would be a good fit for Smash if they made him properly. There's definitely some NINTENDO characters that deserve to be in more than him though. Super lame pick. I guess Nintendo wants the next Shovel Knight game to be an NX exclusive. as long as wolf comes back i don't care if shovel knight gets in. I wouldn't mind if Shovel Knight was a mii outfit but personally I feel there are better iconic choices with history to be a smash fighter. Don't care at all. I just want Wolf and Inklings. Gee guys, let's pressure Yacht Club into saying something that might get them in trouble with Nintendo. Well with that out of the way I am looking forward to smashing foes, Shovel Knight style! That is of course assuming that this is legit but at this point I think it is more likely to be true rather than not. I really hope they release a stage to go with him featuring some of the music from the game, since that game has one of the best retro soundtracks I have ever heard! Yeah, I wouldn't mind Shovel Knight being in Smash. He would definitely be a character I'd like to main. Maybe they could start a Runbow line of nindie amiibo, they are going to run out of SSB figures pretty soon. I'm alright with Shovel Knight, but I'm 100% on the Shantae side for an indie rep for Smash. I guess I'll be kinda salty if Shovel Knight wins, but whatever. I loved the game, and he would be cool! Good. That would sure be a stain on the roster. People commenting that Shovel Knight has only been in one game, isn't iconic... but they miss Ice Climbers. You are aware that the article says Shovel Knight probably IS going to be on the roster? It's definitely likely... I can see him fitting in with the smash bros universe... would be a purchase for me for sure. I haven't got Ryu yet tho. I'm not sold on him tho I would love his stage. I wonder if Shovel Knight will get his own stage (should he be added to the roster)? @NintendoFan64 Lol that means they probably played the fan translation. Do we think they purchased an original cart and ripped it? Eh... This is all based on an error, right? Errors have been made on that site before, it had Lucina listed as being usable for Mario Kart 8 one time before that mistake was fixed. So as far as I'm concerned, anything goes, though I must say that I'd rather have Shantae as a indie since she's had more history with Nintendo. Naw, I'd rather wait for Snake. Ha ha the comments. Shovel Knight is definitely a good pick because of the potential moveset, but I'm all in for Walug, Rool, and Isaac. So I'll just grab some popcorn because I'm not getting hyped up for that. It's just a mistake. Remember they listed ZSS as compatible with Ducktales. Not gonna lie, if it's true then I think it's lazy on Nintendo's part to simply use a character which already has an amiibo, rather than produce an entirely new amiibo for a character. Didn't know the Yarn Yoshi was compatible, but wasn't it read-only? I swear I read that. Remember when they denied Shovel Knight was getting a physical release, too? The world is small! I'm friends with JustinWing, (Well, on 3DS anyways) all thanks to that one streamer we both used to watch. If a person wants to jump to conclusions before official confirmation is given, they have no one but themselves to blame when their orbital-level hype gets blasted out of space. @Baker1000 Yarn Yoshi works exactly the same as Smash Yoshi and Super Mario Yoshi outside of Woolly World. I guess I'm okay with Shovel Knight getting in, but I've never played his game before, and I feel like some other characters deserve to be in Smash more, like Shantae, or someone who has a little more history and background. I hope this isn't official, but if it is, I guess there's worse character choices that could be in smash. I just checked Nintendo's webpage for amiibo, and Shovel Knight's still there. Shovel Knight in Smash would be one of the best reveals I can possibly imagine. Given how Nintendo and Yacht Club are responding to this, I think it's likely that we are going to see him soon! @Wolfgabe it could easily have been though. The website guy probably just used a smash template and didn't properly think about what he was doing. Shovel Knight was listed as a smash amiibo, despite not being part of that amiibo series. Could be cool, hopefully we will find out the truth soon. The website is way too unreliable. Chibi-Robo's page lists him as compatible with Smash, and I heard that on ZSS' page, she was said to be compatible with DUCKTALES. So many conclusions jumped to on the internet. Even IF the Shovel Knight amiibo was compatible with Smash, that doesn't "confirm" him as a playable character. It could unlock an amiibo costume or something else just as trivial. Please call me when there's actual news. Awesome. If Shovel Knight isn't eventually revealed I'm gonna be majorly bummed out. @LztheQuack The individual page for the Chibi-Robo amiibo listed Smash as a compatible game. The list of compatible games was quickly removed from the page last night. Not sure if it's there now. If Shovel Knight makes it into the Smash roster, that would be the weirdest answer to the Battletoads and Kratos levels in, respectively, the Xbox One and PlayStation versions of the game. As much as I hate the very existence of Nindies in general, I've resigned myself to this. He's what a lot of people want, and I understand why. Nindies are praised because the indie gaming scene had to fight for recognition, and Nintendo - as of this generation - fully embraced and supported it; in addition, the indie scene makes up for the borderline lack of third party support, and most likely Nintendo is aware of it, hence their support. As for Shovel Knight, he's easily become the indie equivalent to Mario, considering he's the best thing that's come out of indie games in general, so it's obvious such a Nintendo-ish character is one of the most requested ones in Smash. How can they add the Shovel Knight character in Super Smash Bros. if the game itself wasn't even released in Japan yet? Yes, I am aware it is already confirmed to be released there, but it's not yet there anyway. @Dankykong I was going to disagree and say that I've always been rooting for Shovel Knight, but now I'm going to compliment you on your profile pic. And now I wish Goemon were in Smash. Dear God people, stop acting like this automatically means Shovel Knight is in Smash Bros. The amiibo listing page has also listed ZSS for Ducktales, and Dr. Mario for Splatoon before. It's an error, not a conformation. Anyone complaining about shovel maybe being in smash must ask this...what does shovelknight stand for? He is a character designed and stars in a game that is directly meant to be a throw back to the challenge and style of the nes days. So him being in smash is no different then sonic being there or pac man. I hope he is and Bayonetta but that's pushing it. If it is I'd totally get the amiibo and the game! Shovel Knight is a fun throwback to NES days, like @Donutman says. It feels as if it should have existed back then and definitely took me back. Plus, I like it. So, it's such a fun thing to make it part of Smash Bros. further pushing that feeling that it's an old classic. I get why people want someone else first, I do. But it fits. I MUCH rather see banjo&kazooie and Snake than have this Shovel guy. Even so I prefer shovel knight over K.rool any day. It was just a mislisting since the site showed that Chibi-Robo Amiibo was a Smash Series Amiibo too. Someone made a mistake when updating the site and is probably going to get an earful on Monday. If Shovel Knight made the roster, I'd really have no problem — while he's not my girl, the more the merrier, you know? But geez, the Smash fanbase can be utterly deplorable sometimes. Constantly checking every little change on the website and data-mining the game to get new information before it's made public and constantly whining "BUT YEEEES" whenever Sakurai or Nintendo or anyone says "no" to something they want (playable Ridley and Ice Climbers working on 3DS, for example)... Have some patience already. I don't play smash so this means nothing to me. I just want one to unlock the co op in shovel knight.......and because they look rather cool!! A playable Shovel Knight would make me more interested in playing Smash. I can't wait to get that amiibo too! Neat and all, but I really do wish it was a character with more history, or a bigger tie to Nintendo (preferably a Nintendo series not yet represented in Smash) rather than Shovel Knight. Insert Character Here is a horrible choice for Smash Bros! Insert Character Here should go in!!! @Kage_88 Shantae is a horrible choice for Smash Bros! Strong Bad should go in! No seriously I'm pretty sure people who want Shantae in Smash because they want a Shantae amiibo so they customize it into naked Shantae. @ianolivia Are you thinking of this because you are thinking of doing the exactly same thing? Anyways I voted for Shantae as well as Banjo & Kazooie. I really want her in the game just because I think she will be a completely different character than anything we have currently in Smash. NINJA GOEMON >>>>> SHOVEL WUT? I didn't understand why shovel knight was getting an amiibo anyhow unless he was going to be an official character in Smash. I have Shovel Knight game for along time now and haven't even touched it once. 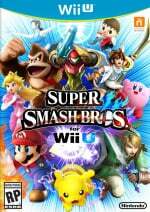 I'm sure its an epic game but why are characters that are on their freshmen year getting into smash ? Same with Shante if she makes in there too. I know it due to the ballot but damn lets get some classic long deserved characters off the bench and into the fray ! @Gameday SHANTAE DEBUT WAS IN GAMEBOY COLOR LIKE 15 YEARS AGO... SO IT MAKES MORE SENCE THAN MANY OTHERS!! @Sonic4life Understood, i had no clue. Was the game a huge success back that or what ? "The social media poster for the studio has got one aspect of its denials wrong, however, mis-reading the screengrab as listing the Shovel Knight amiibo as part of the Smash Bros. series, which it doesn't." Tsk, tsk Nintendo Life, not doing your research. When the Amiibo FIRST LEAKED, the VERY FIRST entry was on some sort of Spanish or Asian site, it said it was a Smash Bros. line Amiibo. That's the only time they debunked the Amiibo. @GunplaGamer Actually if I was I would have voted for her multiple times.